Endings are nearly always beginnings. 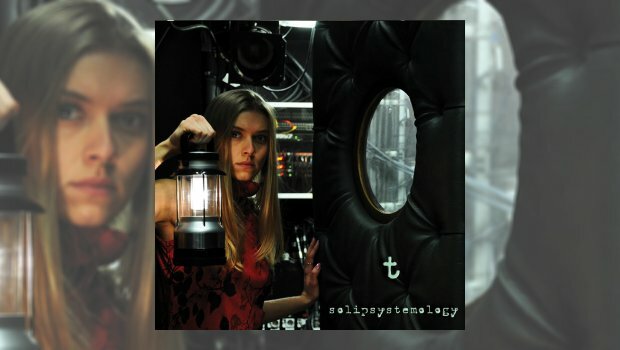 The thought is worth bearing in mind as you approach Solipsystemology, the seventh studio album from the provocative and challenging Thomas Thielen or ‘t’ as the German multi-instrumentalist is otherwise known. Certainly it is not a coincidence that this new release opens with Chapter 7: The End Where We Begin. Commenting in 2015 I cited Heraclitus’ dictum that we cannot step into the same river twice. Fragmentropy (2015) was a musical poem to the episodes and moments which spark from dipping our toes into the vibrant and often exasperating river of life. 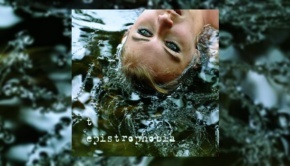 Epistrophobia (2016) quickly followed, intense and troubling reflections on the transitory fragility of relationships, the way fleeting experiences come together to make up our lives and the struggle to find meaning in the things that happen to us and in everything around us. In 2019 we dip our toes once more into that coursing musical narrative of a river, still flowing with forceful momentum and ferocious creativity to encounter and confront the disturbing yet majestic Solipsystemology. Whatever you think you know of the meandering swirls and eddies of this particular river, forget it. Although the river banks seem vaguely familiar, I’m still feeling my way around the boundaries of this remarkable experience. After hearing the album for the first time, I sat in silence for seven minutes after the music ended, not moving. Nothing prepares you for the sheer scale of the intellectual, musical and experiential tsunami which sweeps you off your feet. And nothing prepares you for the way it keeps doing it to you – again and again and again – even though you think you know what is coming. Heraclitus. He knew a thing or two: no matter how many times you listen to this, you will never truly be ‘ready’ for the variety of ways in which it unerringly delivers. The opening two tracks which comprise Chapter 7, The End of Always and That Thought You Lost At Home, are nothing short of a focused onslaught, the cheerfully surging rhythms tearing holes in your musical universe. It’s a deluge designed to deconstruct and isolate; the music does not behave as it should – or rather, we hear the familiar, but it does not always do familiar things. An inspired chamber of filters, reverbs, reverse echoes and other still unidentified techniques create an arresting, mesmerising sense of dissolution. Yet there is also an accompanying feeling of unbearable beauty. Deranged dissonance mixes with utterly delicious melody, but not in unalloyed or unfettered joy but rather in the causal, almost resigned despair of decaying elegance. The title of Chapter 8 captures it brilliantly: The Trauma of Happiness – the sorrow buried at the heart of joy, the rending pain of loss that is the inevitable caress of love, the endings in life, love and relationships which signal and force against our will new beginnings. Throughout it all is the overpowering but overwhelmed voice of one crying in an increasingly forlorn wilderness. Solipsism. Listen to what Thielen is doing with his vocals. The singer who loses his voice, the narrator who loses all confidence in the telling of the story. One moment the vocal is normal; then scattered; then distant, then echoed; then distorted; then itself, briefly, once more. The transition to Chapter 9 is revelatory. When all is in the process of being lost, when the anguish of pain and uncertainty loom large, when the world is dissolving, why the seeming nostalgia implied in the title of When We Were Us. Put simply, because when the world is falling apart, our voice is the only thing we have left. The voice of one crying out, not in mourning but in lament. This is the brilliance of Solipsystemology. A modern ode to classical lament in 21st century voices. The cry of the voice is the demand to be heard. “Hear me!”, it cries. Recognise me. Affirm me. I am alive. I breathe in and through the words, the lyrics, the musical phrases. I speak, I whisper, I call out to you. Here I am. And only, once this moment is reached, can final track Beyond the Dark wield such a terrible and terrifying force. This is not the end: it is but another beginning. Keep your lantern close: you will need what little light it offers. I sincerely believe Solipsystemology is a masterpiece. Thielen has always made his listeners work hard when it comes to his music and this is no exception. Even though it is possibly his most ‘accessible’ release to date, if what you are looking for is casual enjoyment, this is not for you. This is an album which will whisper to your fears, echo in your darkness, nuzzle and embrace your self doubts. It is philosomusipoetological (a homage to the T’s titling). It is the captivating and unsettling music of life.